2. 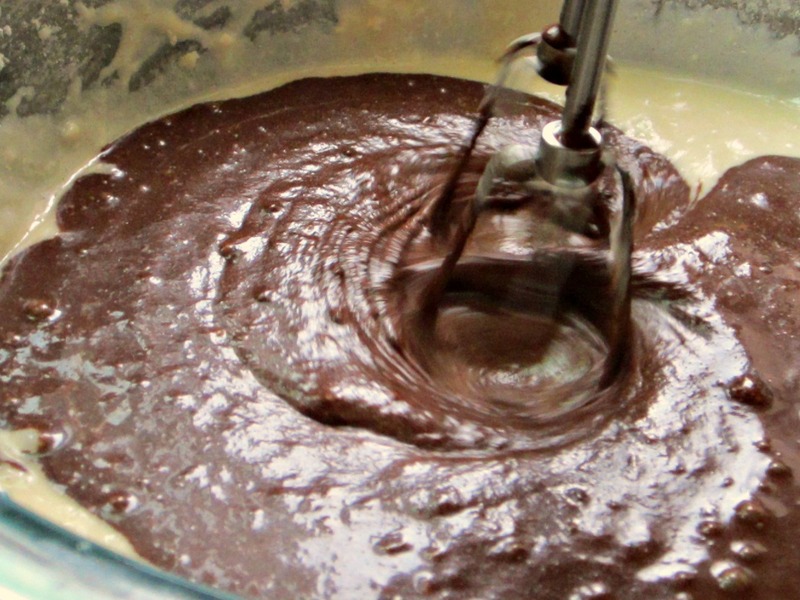 To prepare cake, combine 1 cup boiling water and 1/2 cup cocoa. Add 2 ounces bittersweet chocolate and stir until smooth. Cool to room temperature. 3. To prepare cake pans, spray two, 8-inch round cake pans with cooking spray. Cut out a round of wax paper large enough to cover the bottom of each pan. Fit the wax paper into the pans and coat that with cooking spray too. Dust inside of pans with remaining 1 tablespoon of cocoa. 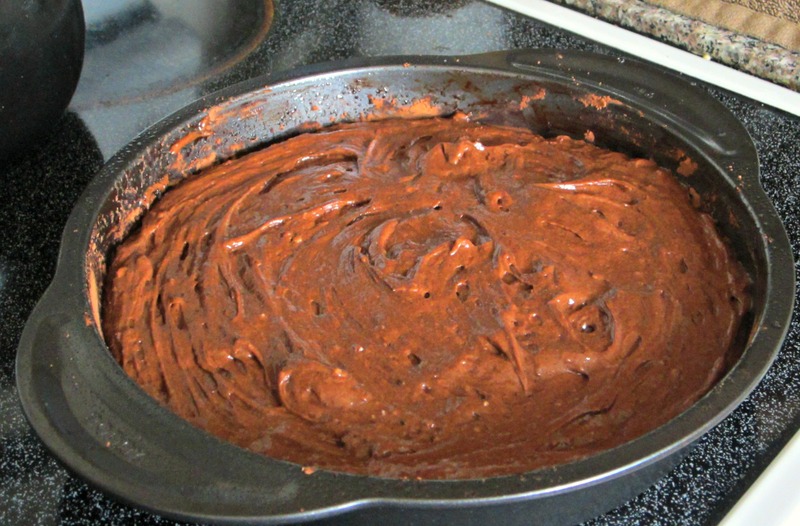 You may need a bit more cocoa than one tablespoon here to be sure that the edges of the pan are well covered. I have never taken the time to do this much preparation to a pan before baking, but I will never go back to just buttering the inside of a pan and hoping for the best. The cakes popped right out of their pans with no stickage. It was a baking miracle! 4. Place 1 3/4 cup of granulated sugar, 6 tablespoons butter and vanilla in a large bowl. Beat for 1 minute. Add the egg whites, one at a time, beating well after each addition. Add sour cream, beat for 2 minutes. I know sour cream sounds crazy, but it gives the cake so much moisture without detracting from the scrumptious chocolate flavor. 5. Combine flour, baking soda, baking powder and salt in a medium bowl and stir until well mixed. Add flour mixture to sugar mixture alternatively with the cocoa mix from step 2, beginning and ending with the flour mixture. Mix until just blended. 6. Divide batter evenly between the two cake pans. Bake at 350 for 30 minutes or until a wooden toothpick or serrated knife comes out with moist crumbs from the center of the cake. Cool cakes to room temperature in their pans. 7. To prepare filling, combine 1/3 cup milk and next 3 ingredients in a saucepan over low-medium heat. Bring to a boil, stirring constantly. Cook until slightly thickened, only 1-2 minutes. Remove from heat and stir in milk chocolate. Cover and cool until room temperature and fold in whipped topping. 8. To prepare glaze, combine all glaze ingredients in a saucepan over medium heat and, stirring constantly, cook about 2 minutes until blended and smooth. 9. Here’s where some flippy-flippy magic comes into play. Find the plate you will be presenting your cake on. Place it upside down on top of one of your cakes in their pan. Holding the bottom of the plate and the bottom of the pan, flip the whole assembly over. 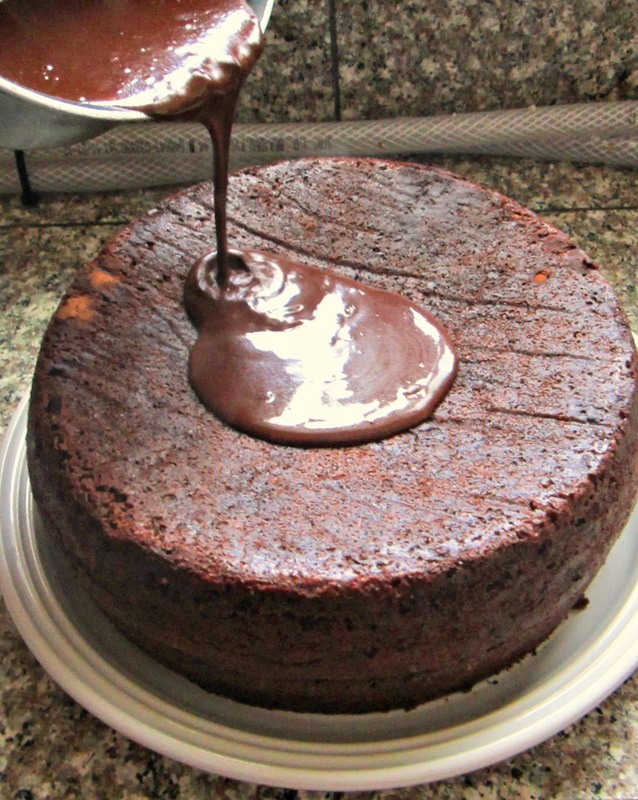 Gently wiggle your pan off the cake and you should have a flat surface to ice with your filling. Spread filling over this first cake, leaving about a 1/4 inch border around the edge of the cake. 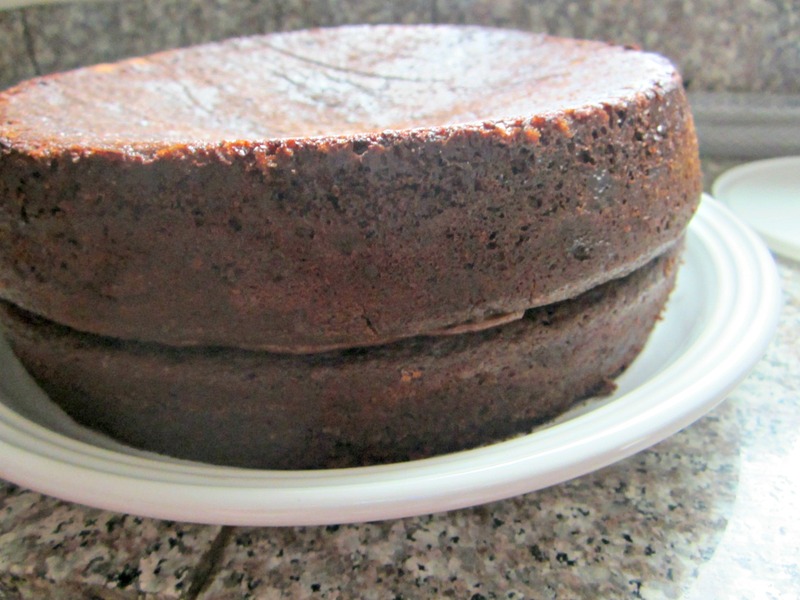 Ever so gently, flip your second cake out of its pan over the top of the filling. Gently wiggle off the pan and you should have a lovely double-decker cake awaiting its glaze bath. Slowly pour the glaze over the top of the cake, spreading it out over the edges. Now, cut yourself a yummy piece of homemade, triple chocolate cake! This recipe, and many other great ideas, came from the Cooking Light cookbook.